The University of Illinois Alumni Club of Washington DC is proud to honor G. Robert Hillman as our 2013 DC Illini of the Year. Robert Hillman is a senior editor at POLITICO and POLITICO Pro. Mr. Hillman was born in Peoria, Ill., and grew up on a farm near Flanagan. A 1972 graduate of the University of Illinois at Urbana-Champaign and an alumnus of The Daily Illini and WPGU Radio at the University of Illinois. Mr. Hillman was inducted into the Illini Media Hall of Fame in 2009. Mr. Hillman has dedicated his life to journalism and its ideals. As a college journalist, he stood out for being extraordinarily fair, objective and professional, and throughout his career, he has been known for those same attributes. Hillman joined The Daily Illini as a sophomore in 1969, after a year as a radio reporter for WPGU. He worked as a campus reporter until his graduation in 1972, covering some of the biggest stories of the decade – specifically the protests against the Vietnam War and a notorious campus crime spree. During his time at The Daily Illini, Hillman brought a level of professional standards that had a lasting influence on budding reporters. At the Sun-Times, Hillman was a general assignment and investigative reporter from 1972 to 1975, chief of the capital bureau in Springfield, Ill., from 1975 to 1983 and national correspondent from 1983 to 1984. In 1981, while at the Sun-Times, Hillman was awarded a Stick-O-Type by the Chicago Newspaper Guild for feature writing. And in 1997, he was a member of The Morning News team that was awarded a Katie by the Dallas Press Club for coverage the Oklahoma City bombing trial of Timothy McVeigh. 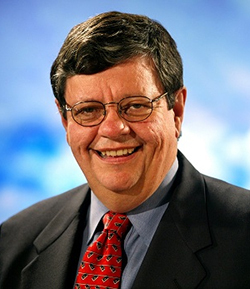 Mr. Hillman was a national and White House correspondent for The Dallas Morning News in Washington from 1997 to 2006 and deputy chief of the Washington bureau from 1988 to 1997. Mr. Hillman has reported on seven presidential campaigns, his first for the Chicago Sun-Times in 1980 and six later for The Morning News. Read more at the University of Illinois Alumni Club of Washington DC.